Target details ......................... NGC 891 (also known as Caldwell 23) is an edge-on unbarred spiral galaxy (actually barred) about 30 million light-years away in the constellation Andromeda. It was discovered by William Herschel on October 6, 1784. The galaxy is a member of the NGC 1023 group of galaxies in the Local Supercluster. 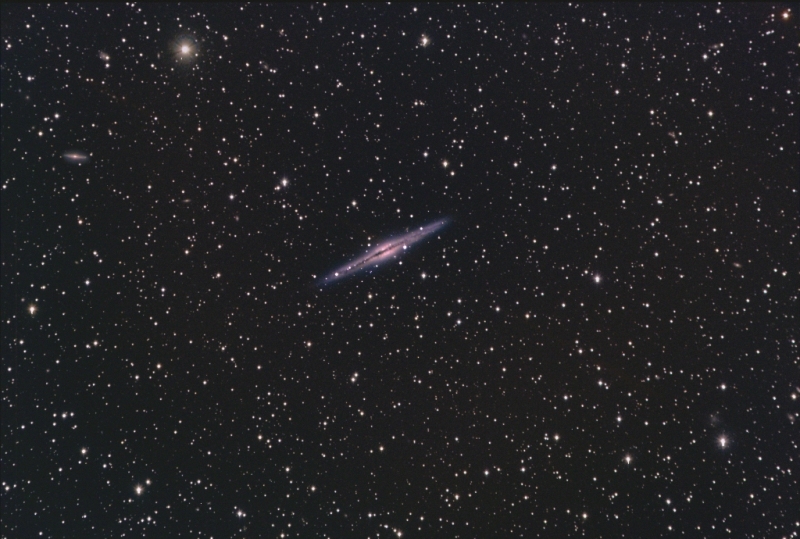 It has an H II nucleus.The object is visible in small to moderate size telescopes as a faint elongated smear of light with a dust lane visible in larger apertures.In 1999, the Hubble Space Telescope imaged NGC 891 in infrared.In 2005, due to its attractiveness and scientific interest, NGC 891 was selected to be the first light image of the Large Binocular Telescope. 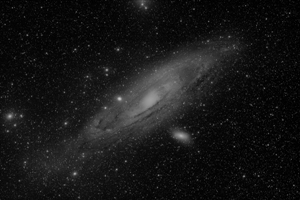 In 2012, it was again used as a first light image of the Discovery Channel Telescope with the Large Monolithic Imager.